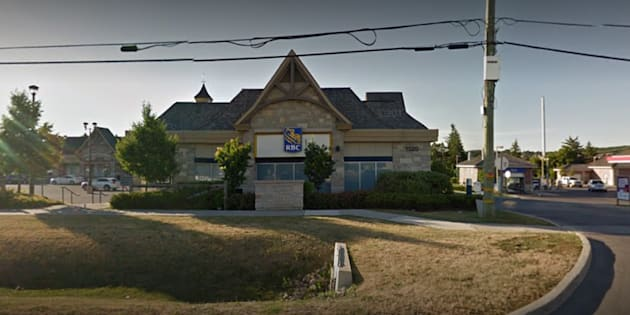 No one else was injured but those inside the Royal Bank of Canada branch in Maple, Ont., were "definitely traumatized," said York region police Const. Andy Pattenden. "We did have to use lethal force in order to gain control of that subject," Pattenden said. "Officers arriving on the scene were able to get some of those inside out to safety," Pattenden said. "It did turn into a hostage situation for us." "We were able to send out an emergency alert to parents right away," Katzberg told CTV. "Everybody knew where we were and we were in touch with parents throughout the time." "I can't even tell you it was a robbery," Pattenden said. "(But) being in the bank with a gun was very threatening." In a statement, RBC said it was "extremely relieved" customers and employees were safe. "Out of respect for our clients and employees who were involved in this incident, and the ongoing investigation, we will not be commenting further," the bank said. Ontario's police watchdog, the Special Investigations Unit, is reviewing how officers handled the incident. "The SIU's investigation is going to be focused on the interaction between the police officers and the individual," Gennaro said. "Of course as a part of that investigation, we're going to look at to determine what happened in the lead-up to that event." With files from Colin Perkel in Toronto.